I don’t want to have to do all this every time I want to apply this effect, so I’m saving it as a new preset. I keep forgetting how to do this (it’s not at all obvious) – if you open the Presets panel on the left, there’s an ‘Add Preset’ button at the bottom. Clicking this opens a dialog where you can enter a name for the preset. It seems there is no word for the opposite of ‘orthagonal’ film, so ‘Ortho-reverse’ was the best I could think of. To see and apply your own presets, click the Custom tab at the top of the presets panel on the left side of the screen. 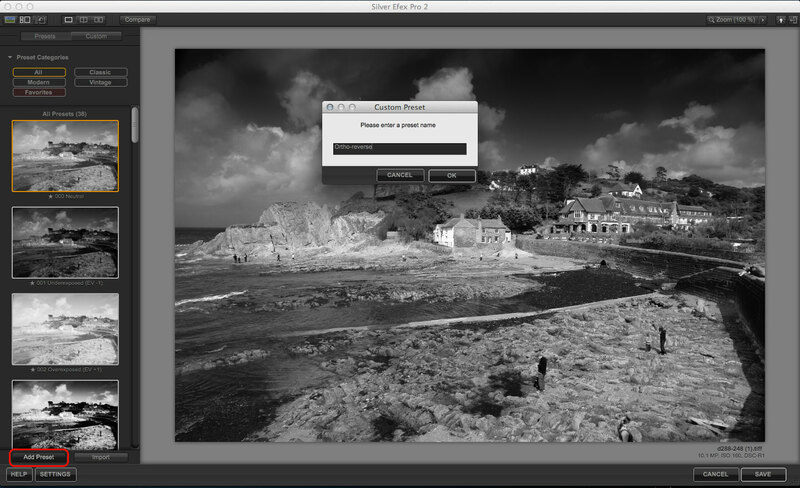 Now I can use my ‘Ortho-reverse’ preset on any other image with a single mouseclick. 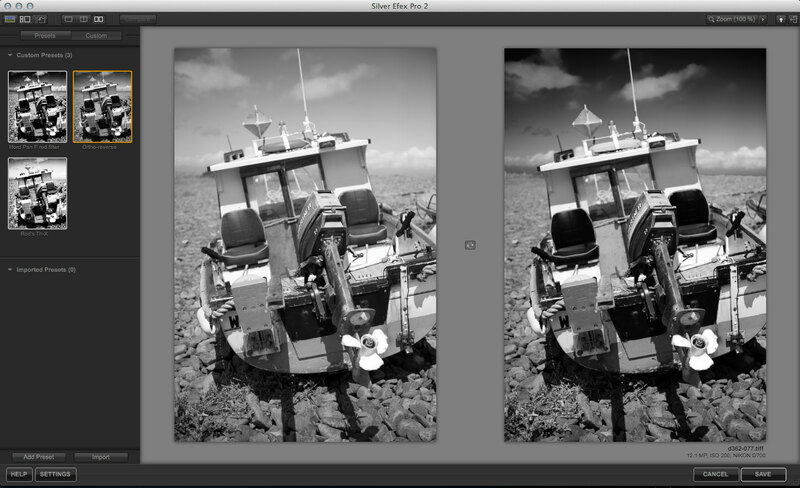 I’ve used Silver Efex Pro’s side-by-side view here so that you can see the difference on another picture. This landscape shot certainly has a lot more contrast and depth than the original, ‘neutral’, conversion. 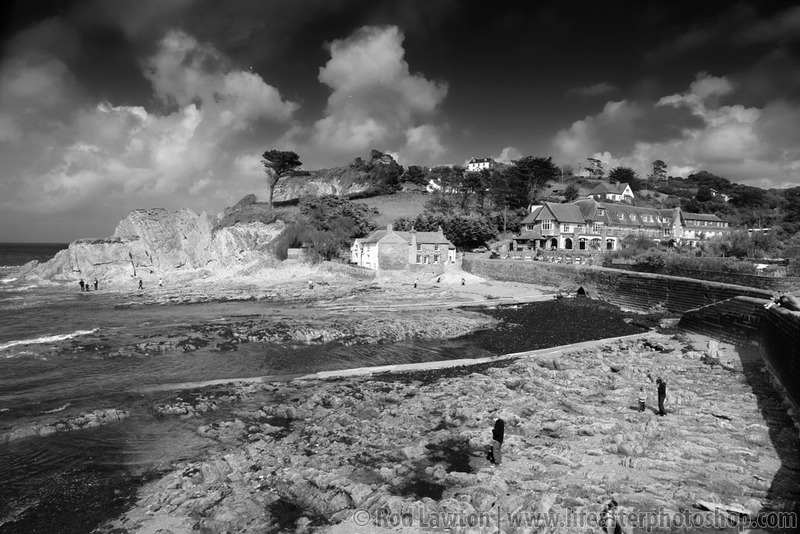 For landscape photography with blue skies, you need a black and white conversion that gives more emphasise to red/yellow/green tones and less to blue, and I think if you compare this to the ‘start’ shot at the top of the page, you’ll see the difference.